This post was featured on the Hello! blog. 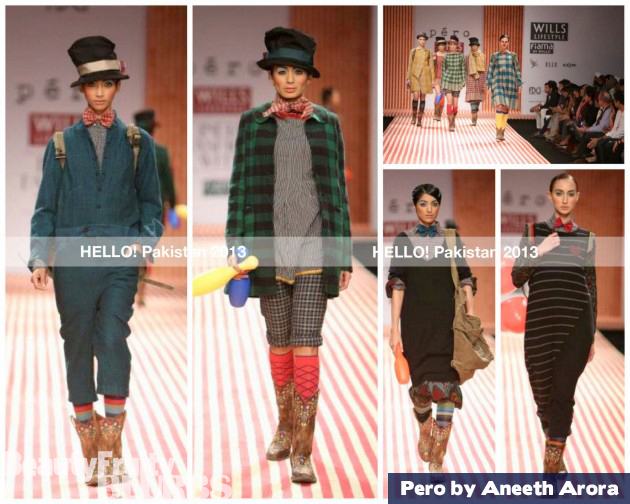 Pero by Aneeth Arora – Loved the modern take to Oliver Twist meets 'Cirque du Soleil' – I never even thought that could look fashionable but Pero proves that notion wrong! This is what I call layering done superbly. It is a masterpiece collection. The bow ties are so on trend as well as the buttoned up collars. Whoever styled this look is on another fashionable level. 5+ stars!!! Manish Malhotra – Lots of sheer, beautiful silhouettes and regal colours. The collection celebrated traditional phulkari and bagh embroidery from Punjab. I loved the work on the pieces, reminded me a bit of Ali Xeeshan’s pieces as well. Alpana Neeraj – What a dramatic show, with pieces that are likely to grace Vogue’s cover. A lot of very futuristic silhouettes. Shantanu and Nikhil – Can you say painting the town orange? Chic pieces with a lot of shades of orange and turbans, they said they were inspired by sand dunes for this collection. Cutwork/laser cut fabrics is what is trending at the moment, from the likes of Roberto Cavali to Shantanu and Nikhil – I am loving what I see. 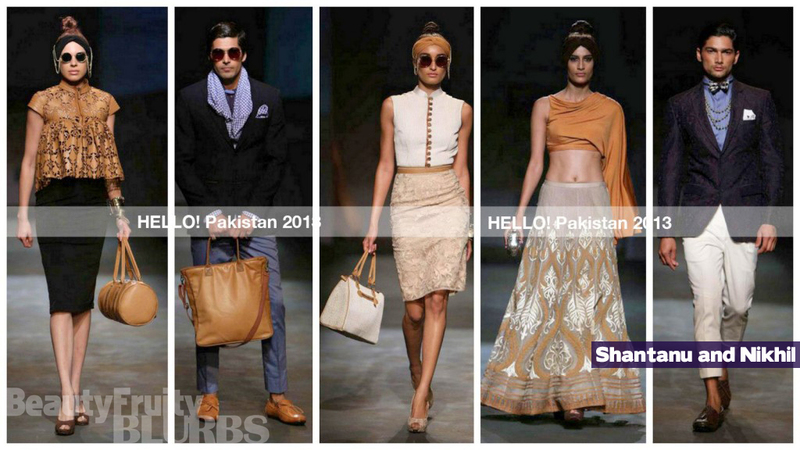 S&N present us with a range of looks from feminine to working woman to wedding!! Fab! PS - Don't miss the bow tie. Loveeee. Payal Pratab – Lots and lots of jewelled tones, florals, vests/coats, jodaphur pants and draping! Like the concept of each piece being a separate – and being able to be used for a variety of different looks. Very versatile. Certainly a treat to the eyes. Charu Parashar – Now I’m not one for sequins usually, but these embellished beauties were divine. Very modern and fun, with some great prints. The shirt/blazer/pant combos were a personal favourite. What collection stood out the most for you?